Our Activated Charcoal cleansing bar is a beautifully marbled facial cleansing bar loaded with tons of amazing skin properties. 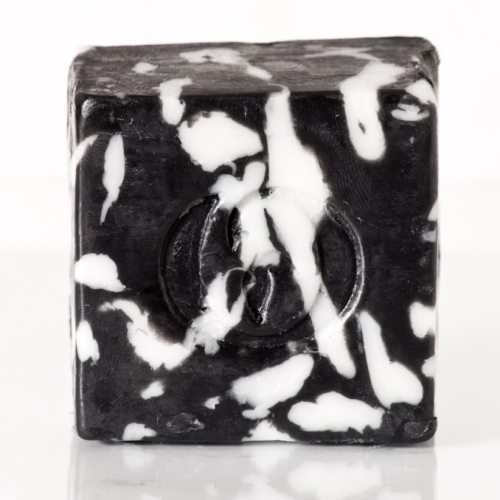 Activated Charcoal is known for it's purifying and deep-cleaning properties, this bar will leave your skin feeling squeaky clean and supple. This bar also contains Tea Tree essential oil which is antiseptic, antimicrobial. The topical use of Tea Tree essential oil is researched to assist with acne and inflammation. Lavender extract is also an active ingredient in this bar, lavender is soothing and antiseptic, and is widely used to soothe inflammation of the skin. Overall, this bar is most suitable for problematic, acne-prone skin types. Notify me when Purifying Activated Charcoal Facial Cleansing Bar Purifying Activated Charcoal Facial Cleansing Bar ~200g is available.